Kindle Voyage is described by Amazon as being its most advanced E-Reader. 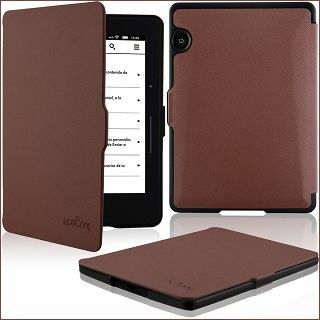 Hence, a large number of manufacturers have designed and released Cases for Kindle Voyage. 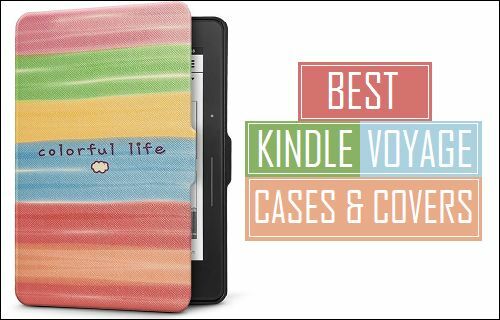 You will find below some of the best Kindle Voyage Cases as available in the market. While Amazon offers its own official Kindle Voyage Case in Premium Natural Leather with an attractive Kindle Logo at the back, there are other manufactures that mostly offer Synthetic or PU Leather Kindle Voyage Cases at attractive prices. All the Kindle Voyage Cases as listed below come with Sleep/Wake function, which helps conserve battery life by automatically putting your Kindle to sleep when you close the Cover and wake it up whenever you open the cover. 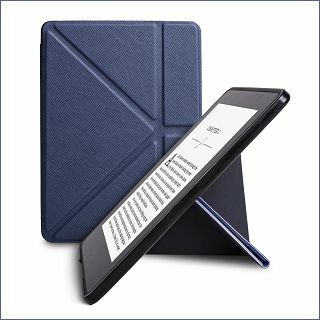 Fintie Case For Kindle Voyage is made out of PU Leather on the exterior side, 1 layer of durable plexiglass in the middle and Soft Microfiber lining on the inside to protect the screen of Kindle Voyage. Fintie SmartShell Case for Kindle Voyage features Sleep/Wake function which helps conserve battery life by making your Kindle go to sleep when you close the cover and wake it up whenever you open the cover. Fintie Case for Kindle Voyage is available in multiple colors and with attractive patterns. 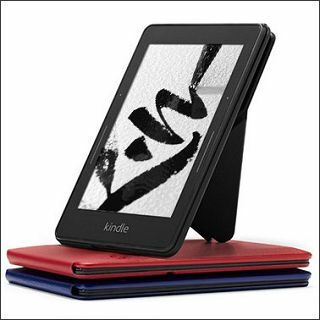 AYOTU Case for Kindle Voyage is made out of synthetic leather and thin plexiglass layer on the outside and soft material inside to protect the screen of Kindle Voyage from scratches. Supports Sleep/Wake function, which means that your Kindle Voyage will wake up when you lift the cover and go back to sleep when you close the cover. AYOTU Kindle Voyage Case is available in multiple colours and creative patterns at Amazon. This Kindle Voyage Leather Case from Amazon features an in-built stand that allows you to read books hands free in portrait mode. The outer material is made out of natural leather, while the interior of this Kindle Voyage Case is lined with color-matched microfiber, in order to protect the screen of your Kindle Voyage. 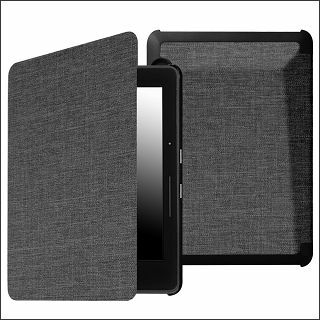 Being specifically designed for Kindle Voyage by Amazon, the case perfectly fits Kindle Voyage and provides full front and back protection to your device. There is a magnetic sensor in this Kindle Voyage Leather Case which automatically wakes up Kindle Voyage when you open the cover and Puts it back to sleep when you close the cover. This is one of the lightest and thinnest Kindle Voyage Cases that you can find in the market. 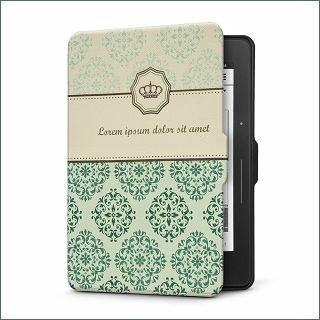 WALNEW Kindle Voyage Case is available in multiple colours and patterns. The Case is made out of anti-slip PU Leather on the exterior side and Soft Microfiber Layer on the inner side. As with other Kindle Cases, WALNEW Kindle Voyage Case makes your device go to sleep when you close the case and Wakes it up automatically, whenever you open the case to read on your Kindle. 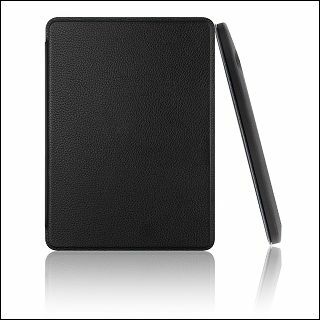 As it is obvious from the name, Swees Genuine Leather Case for Kindle Voyage is made out of Genuine Leather on the outside and Soft Microfiber lining on the inside to protect the screen of your device. The outer Leather Shell features a textured finish which feels good to Touch and also makes it non-slip. This lightweight and good looking Kindle Voyage Case is made out of Synthetic Leather on the outside and Soft Microsuede layer on the inside. Just like other Kindle Voyage Cases as listed above, HOTCOOL Kindle Voyage Case also features Auto-Sleep Wake Functions. The HOTCOOL Kindle Voyage Case is often available at discounted prices at Amazon. Kindle Voyage Review | Is it Really Worth Its Price? Kindle Vs Kindle Paperwhite Comparison | Which one to Buy?